Health Canada's recent warning that homeopathic remedies are not an alternative to vaccines doesn't go far enough to prevent the damage the products could do as the country fights off a resurgence of measles, doctors and health policy experts say. "It's nonsensical to have these products licensed by Health Canada," said Dr. Mark Loeb, director of the infectious diseases division at McMaster University in Hamilton. The federal government is investigating reports that some homeopathic and naturopathic practitioners in British Columbia have promoted homeopathic products called "nosodes" (also marketed as "homeoprophylaxis") as alternatives to conventional vaccinations. "Nosodes are not, and never have been, approved by Health Canada to be vaccine alternatives," a safety alert issued by the department earlier in March said. "No homeopathic products should be promoted as an alternative to vaccines because there are no substitutes for vaccines." Children given homeopathic remedies instead of vaccinations "are at risk of developing serious and potentially fatal childhood illnesses such as measles, mumps, rubella, polio and whooping cough," the statement said. Health Canada requires labels on homeopathic nosodes to include statements that the product is "neither a vaccine nor an alternative to vaccination," that it "has not been proven to prevent infection" and that "Health Canada does not recommend its use in children," it said. The warning comes as at least 17 cases of measles have been confirmed in B.C. this year, as well as a confirmed travel-related case in Toronto and cases in Inuvik, N.W.T, and several outbreaks in the U.S.
Public health officials on both sides of the border say false information spread by anti-vaccination groups is fuelling fear among parents, making them hesitant to vaccinate their children. According to the Public Health Agency of Canada, communities need a vaccination rate of 95 per cent to be adequately protected against measles. If vaccination coverage drops below that, the risk of infection rises — along with the risk of undoing decades of progress that led to measles elimination in Canada back in 1998. As proponents of homeopathic remedies claimed they could provide a "natural" alternative to vaccines, Loeb led a randomized, blinded, placebo-controlled trial to do a "head-to-head comparison" between homeopathic nosodes and conventional vaccines given to university students. The results, published in the journal Vaccine last November, found "absolutely no antibody response" to either the homeopathic remedies or placebos, compared to "a robust response to the vaccine," Loeb said. Apprehensive parents who had not vaccinated their children but are aware of the growing risk of measles have emailed him to ask about his findings. "It's a prime example of vaccine hesitancy," Loeb said. "They seem to be on the fence, you know? They're worried about measles outbreaks and they're worried about conventional vaccines." Loeb hopes his research will put their doubts to rest and help them understand there are no alternatives to conventional vaccines when it comes to protecting their children's health. Health Canada needs to help reinforce that point, he said, by ceasing approval for homeopathic nosodes — not just warning people about them. "They should not be sold. There's no reason for these to remain on the market," Loeb said. 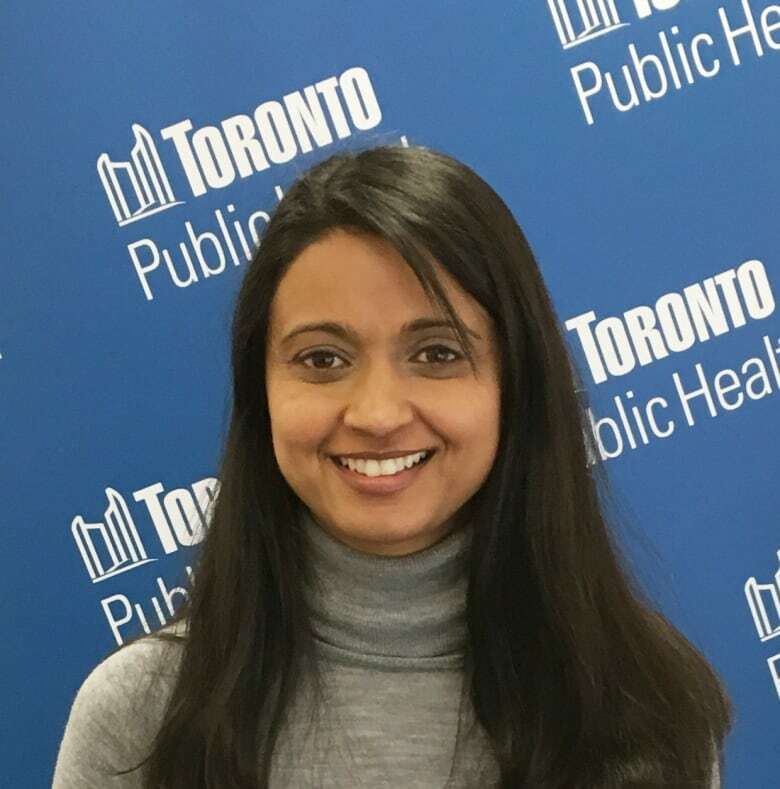 The promotion of homeopathic remedies in general can play into common strategies used by anti-vaccination proponents to spread misinformation, said Dr. Vinita Dubey, the city of Toronto's associate medical officer of health. That misinformation includes "false logic that natural things are good and safe, while unnatural things are not ... the argument that governments promote vaccination because of influence from pharmaceutical companies [and] selectivity in choosing which scientific papers to focus on," Dubey said in an email to CBC News. "Homeopathy can contribute to [the] vaccine hesitancy issue in so far as it uses the above techniques to falsely convince the public that vaccines are not safe," she said. "The research and evidence show that vaccines are safe and effective and a necessary public health intervention that has saved millions of lives." Homeopathy is based on an unproven theory rejected by modern science — that water can be exposed to bacteria, viruses, plants or minerals and then retain a memory of them, even after all traces of the substances have been eliminated through dilution — and that the water's "memory" can treat diseases. There is no evidence to show that the water products have any medical benefit beyond a placebo effect. Health Canada itself says that homeopathic remedies are not approved "for the treatment of any medical condition or to prevent infection." But it still continues to license them as "natural health products," which have a different threshold for evidence than medications or vaccines. 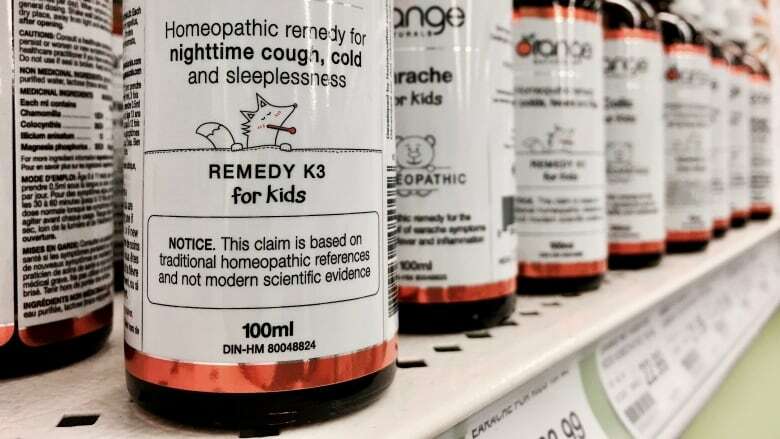 For homeopathic remedies, "evidence usually consists of references to traditional homeopathic textbooks, which are not based on modern science," a spokesperson for Health Canada said in an email. 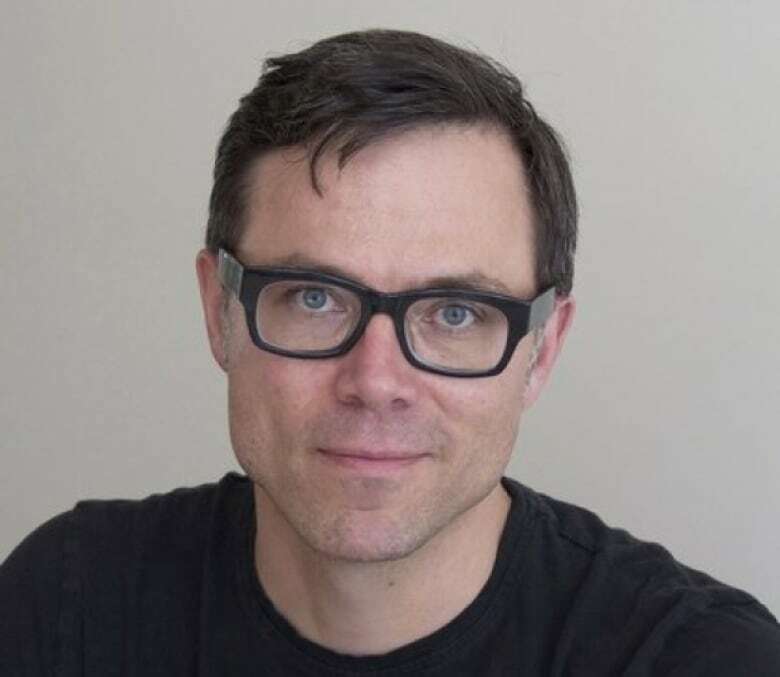 Even though Health Canada bans the promotion of homeopathic remedies as vaccine alternatives, the fact that it licenses them at all is harmful, especially in the midst of a vaccine misinformation crisis, said Timothy Caulfield, Canada research chair in health law and policy at the University of Alberta. "It's this kind of token of legitimacy that can be used by those marketing homeopathy," Caulfield said. "Even if they're not necessarily saying it's an alternative to vaccines, it's often implied, right? 'Boost your immune naturally' — a lot of naturopaths claim that you can do that and then they offer a homeopathic treatment." The rise of vaccine hesitancy highlights the importance of tougher regulations to curb unproven health products, Caulfield said. "It's kind of a warning sign of how the spread of misinformation is starting to have a tangible impact," he said. Caulfield agrees with Loeb that Health Canada should stop licensing homeopathic remedies. But he also thinks naturopaths — as a regulated health profession — should take responsibility. "If they really are a science-based profession, then their regulatory body should say, 'stop providing homeopathy, period,'" he said. "If the colleges [of naturopathy] aren't willing to do this ... then I think we need to revisit how we regulate these kinds of professions." According to the Canadian Association of Naturopathic Doctors, naturopathy "blends modern scientific knowledge with traditional and natural forms of medicine" through a variety of therapies — of which homeopathy is one. But the association "recognizes the value of vaccines" and "fully supports Health Canada's position on nosodes — they are not an alternative to vaccines," said executive director Shawn O'Reilly in an email to CBC News. "In fact the childhood immunization schedule is taught in the curriculum of the accredited naturopathic medical programs and students must meet the clinical competencies for immunization education in order to graduate," he said. The College of Naturopathic Physicians of British Columbia — where some naturopaths were promoting homeopathic alternatives — says that conduct is in violation of its "immunization standard" and that it supports vaccination. "Naturopathic doctors are part of the effort to reduce vaccine hesitancy. They are uniquely positioned to educate patients who, due to misinformation and fear, may otherwise forego or have limited contact with allopathic [conventional] medical care, including access to and information about vaccinations," said Phillipa Stanaway, the college's registrar and CEO, in an email to CBC News. "When patients inquire about the use of nosodes instead of vaccinations, naturopathic doctors are obliged to inform them that nosodes are not a safe or effective alternative to vaccinations," she said. An earlier version of this story said incorrectly that there have been cases of measles in Nunavut. In fact, measles cases have been reported in Inuvik, N.W.T. Nicole Ireland is a CBC News journalist with a special interest in health and social justice stories. Based in Toronto, she has lived and worked in Thunder Bay, Ont. ; Iqaluit, Nunavut; and Beirut, Lebanon.